Battle for Dazar’alor is the second raid in Battle for Azeroth. The raid covers a lot of different fighting styles, pure Single Target (ST), small and medium cleave, as well as an actual two target encounter. Depending on the actual amount of cleave, this raid suits Assassination more than the other two specs. Subtlety might not be too bad either, especially on the ST oriented fights in the raid. High downtime obviously favors Sin more and hurts Sub a lot. Usually the number of adds spawning, the interval in between spawns, and their health pools will determine what traits you’re going to run. For example, for Assassination, Shrouded Suffocation won’t be good if adds die in a few seconds because Garrote won’t tick more than 2-3 times. Echoing Blades is most likely not a thing, since it barely does any damage unless you fight huge packs. 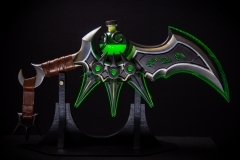 Scent of Blood might find a spot on longer cleave fights. Other than that we’re most likely looking at the usual ones, Double Dose, Twist the Knife and the new trait, Nothing Personal. In terms of Subtlety traits, it’s most likely gonna be a mix of traits, depending on the fight. All of the info in this guide is subject to change, I will update it as soon as something changes! Some of the stuff will be coming after the actual release of the raid, since I haven’t been able to test bosses properly yet. I’ll add details asap! Before I go further into all the fights and what traits/talents etc to use, here is a list of the abbreviations I will use throughout the guide. 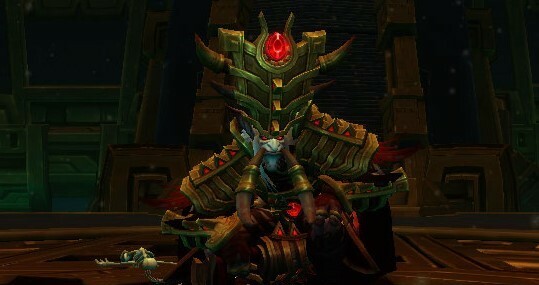 The general type of gear you’ll hunt won’t change compared to Uldir, you still want haste, especially with the loss of the Reorigination Array (750 haste @10stacks) , but also depending on your current gear, your talents and your traits, stat weights will change. However, you can pretty safely say, haste >crit/mastery is your go to stats priority, just as usual. Going beyond that, we’ll look at trinkets/Azerite items. 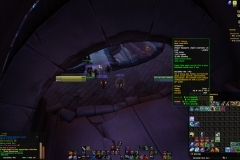 With BoD you’ll have a raid where every single boss drops an azerite item, which really helps getting at least some of them. 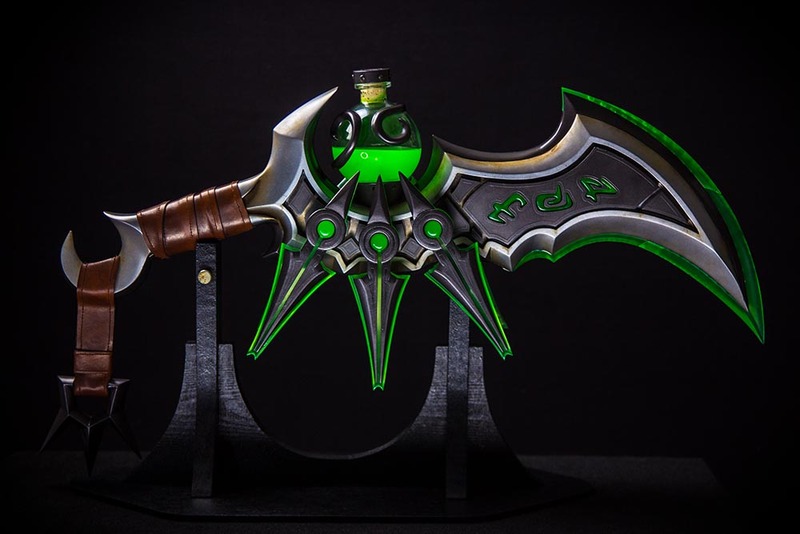 UPDATE: With the fixed simc values of the Nothing Personal trait, some azerite items might have increased in value. SS/DD first ring, NP/TC 2nd row, so you’re good to go in any situation. NP/TTK first ring, DD 2nd Ring, not as versatile, but in terms of ST strength, just as strong as #1 while also having a better defensive trait. TTK/SS combination possible, might see some use, worse T3 tho. Scent + TTK, rather avoid those if you can. NP + DD/TC, solid overall choice again. TTK + SS, a good substitute if you’re not lucky to get the other one. DD/SS + Scent, not too bad, but definitely not ideal. 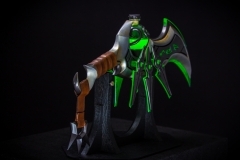 In terms of trinkets you can always check herodamage.com to have an overview of how much a trinket is roughly worth, however to be sure you should always sim your own character to be sure if it’s an upgrade or not. There’s a total of 3 trinkets in this raid, all 3 being pretty solid and one being top end even. Kimbul’s Razor Claw: Bleeds your target for some good damage, while having a nice little side effect with the leech if you’re behind your target. Invocation of Yu’lon: On use damage dealing trinket, pretty mid-tier, nothing fancy. Other than that, the usual trinkets come into play: Harlan’s Loaded Dice, Lustrous Golden Plumage, Doom’s Wake, Galecaller’s Boon, Dead-eye Spyglass. The new trait, Keep Your Wits About You, allows some interesting gear choices on aoe content, but our ST choices in this tier are quite clear. Additionally the new ring allows us to stack our 2 strongest class traits (Ace up your sleeve, Deadshot), and further pushes down any of the off-BIS traits since they do not stack as well with the BIS ones. This means you will generally aim for traits with Deadshot and/or ace on them or wits for cleave/aoe. Remember that you only need/want 1 wits piece for BF enabled content. As always, sim yourself! Deadshot or Ace + TC, very strong piece. Wits + Deadshot, solid piece in any situation where BF can be used. Wits + Ace, Not as solid as #2, but still a great piece for BF enabled fights. Deadshot +TC, very strong piece. Ace+ Brigand’z blitz, decent combination. Brigand’z blitz + Wits, not a great piece, but an acceptable choice for your wits piece if you need one. Brigand’z blitz + TC/Deadshot, overall a decent piece, but there are some dungeon items that are better. This is the slot I would recommend aiming to get from residuum. Deadshot/Ace + Brigand’z blitz, overall a decent piece very close to #1. Wits + Ace, Very strong piece to pick for your Wits slot in dungeons or BF enabled bosses. Other than that this piece should be avoided. Keep in mind that this list does not include dungeon gear, and any dungeon piece you find can shift the piece you want to aim for in raid. In terms of trinkets you can always check herodamage.com to have an overview of how much a trinket is roughly worth, however to be sure you should always sim your own character to be sure if it’s an upgrade or not. Kimbul’s Razor Claw: Bleeds your target for some good damage, while having a nice little side effect with the leech if you’re behind your target. 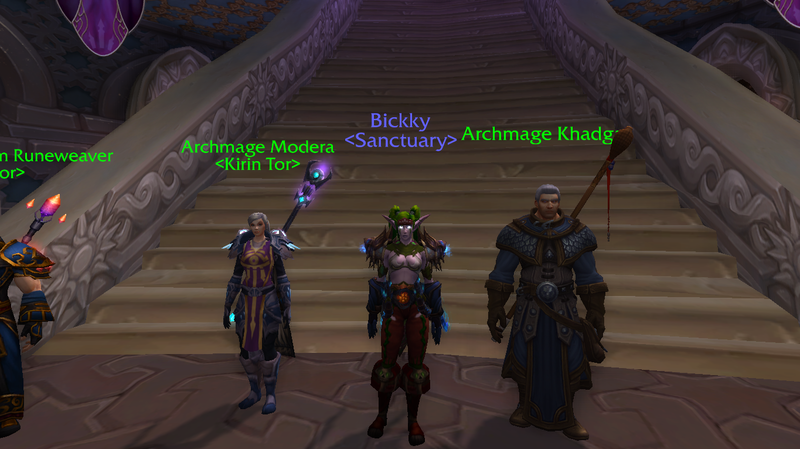 Thanks to our innate haste bonus from alacrity this trinket is extremely strong and BIS by a significant margin. However this trinket does become worse as the target count increases which can cause other trinkets to surpass it for dungeons or cleave/aoe raid fights. Variable Intensity Gigavolt Oscillator Reactor: Good trinket, comparable to many of the normally recommended dungeon trinkets. Invocation of Yu’lon: A mid-tier trinket with the added problem that it gets worse as the target count increases due to splitting damage. Due to the new version of The First Dance for Sub, Haste is no longer a thing really. The ~1.1k Haste you get is all you need to perform well. Other than that your focus is on Crit + Mastery/Vers, while pretty much ignoring Haste. If you’re really unlucky and you can’t get your hands on even one of the TFD traits, you might want some Haste to make your gameplay smooth and enjoyable. As always, sim yourself! Inev + TC, very strong piece. Perforate + Inev, solid piece. BitS + TFD/TC, really good piece. TFD/Inev + Perforate, depending on your other traits, definitely not too bad. TFD/Perforate + Night’s Vengeance, mid-tier piece, definitely the worst choice in the raid. BitS/Perforate + TC, solid choice if you already got 1 Inev/TFD. Have in mind, this list might not be the same for you, as it heavily depends on the amount of Inevitability and TFD traits you already got, since the first of both has a lot more value than the second and third one, due to the additional effect. In terms of trinkets you can always check herodamage.com to have an overview of how much a trinket is roughly worth, however to be sure you should always sim your own character to see if it’s an upgrade or not. There’s a total of 3 trinkets in this raid: Oscillator Reactor and Kimbul’s are both a really good pickup, with several dungeon trinkets being ahead or close to those. Invocation is rather mid-tier here, so try to avoid it if you can, unless you really haven’t got anything better. Next up, we’re going over into the talent section. For Assassination, the builds are rather standard. Either TB or Exsanguinate – Subterfuge or MA. TB provides more frequent burst windows, due to the lower cooldown and high average. Exsanguinate has insanely high burst windows if paired with several SS traits and Subterfuge, however a non-buffed Exsang is rather weak. Subterfuge also has some great value for Multitarget fights, whereas MA is pretty much pure ST and a really uncommon choice. So the standard cookie cutter build is like this: 2212021 or 2212031 if you’re into Exsang. Sim yourself to know which one works better and compare it to the fight you’re about to do. E.g. a fight like Vectis favors TB a lot more due to more frequent add spawns, even though Exsang might be slightly higher for you personally. There aren’t really any bosses that require a different talent build, there’s not enough AoE to make CT viable and everything else, be it ST or Cleave is done with one of the 2 standard builds. Grong might favor TB over Exsang, due to more frequent add spawns that have a high priority. For outlaw you will be using the general cookie cutter builds for most fights 211XX22 or 212XX22 with enough ace traits. That being said Killing spree likely will see use on fights with add waves for the added burst as well as on Jadefire Masters where you can use it to generate wits stacks. As for the Slice and Dice it is still terrible, and the new set bonus from Jaina is not sufficient to make it good. Update: With the nerf to TFD, the amount of talent choices has gone down a bit. WM and FW being really close, it’s down to personal preference mostly, with FW being a better choice if you can funnel damage into one target while abusing adds, like on Zul. Nightstalker has pretty much no scenario anymore, apart from AoE and “maybe” with 2 TFD + 1 BitS, other than that I think Shadow Focus just wins. Deeper Stratagem and Marked for Death are down to personal preference again, but also what kind of fight it is, MFD might come ahead a lot if there are some adds to use it on a lot. Looking at the Level 90 row, it’s Enveloping Shadows vs Dark Shadow, both being really good, Dark Shadow is usually picked up if you have some kind of aoe during the fight and/or you need higher on demand burst. Both talents might see some kind of play during this tier. For the last row, it’s usually MoSh, however higher AoE fights definitely make SecTec a good choice, probably not this tier though. The usual “cookie cutter” build here is the following: 2322031 , but have in mind that different encounters can change this build really quickly. Looking specifically at bosses, most fights will be done with the standard build, however you can swap to something like Dark Shadow instead of ES for higher burst on Grong add spawns, Dark Shadow for Champion of the Light (Maybe even SecTec if your group has trouble killing off the adds), maybe also on Conclave, but that’s about it. I’ll update if I have a different opinion after heroic week. 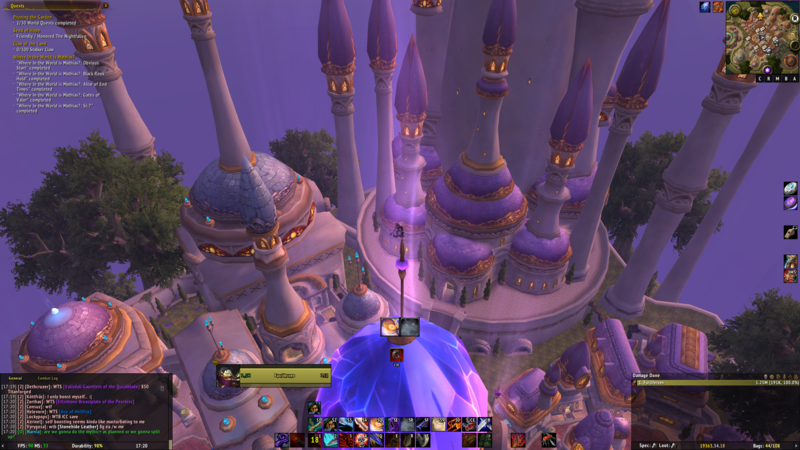 With the addition of the 5th ring on Azerite items, this opens up a lot of space for new combinations. SS + SoB for cleave fights, DD + NP/TTK for pure ST and so on. Since BoD has a lot of ST oriented fights, DD/NP/TTK and the new Raid Trait Treacherous Covenant (Have in mind the 2nd effect where you take additional damage) will have very high value. Even though some bosses have the possibility of having some cleave, most of it won’t be worth to focus on. Surely, having a second Rupture up on a target will have some nice value in terms of energy returns, but it might be only that, without any effective damage done. Therefor, most bosses will end up using DD + NP/TC combinations, maybe 1 TTK for the effect and only a few will see SS traits, with even less seeing any use of Scent of Blood. Conclave: Spread targets, small adds throughout the fight, multiple SS traits possible, depends on the actual add hp, how spread they are and so on, otherwise just focus mainly on ST again. King Rastakhan: Definitely worth picking multiple SS traits here, Add Phase in P1, Add Phase in P3, so there’s definitely room for SS, while still being competitive on ST in the other 2 phases. Update: TC nerf doesn’t change a lot, it’s still a really good trait, probably top 3 even post nerf. Have in mind that you might not have close to 100% uptime on some fights. But as you can see, there’s not a lot of room for cleave traits, surely they might see some use here and there, but the main part of the raid is gonna focus on ST.
Update: With the amount of ST fights in BoD, your trait choices will mostly be around that type of fight. That being said and the class tuning being in now, you’re most likely looking at MAX 1 TFD, since the 2nd and 3rd one will have a lot less value and could be covered by better traits. 1 BitS has a lot of value and as I said in the talent section already, might be needed if you want to make NS work. 1 Inev is definitely a must have. Apart from that, Perforate (with the right talent build), Night’s Vengeance and TC are the traits you’re looking to get in the new raid. In terms of traits, Subtlety doesn’t have a big difference, since the strength definitely is in the ST area which you should be focusing on. I highly doubt any of the AoE/Cleave traits will make the difference, it will mainly be in your choice of talents. Apetagonizers spawn every 2 minutes, so hold your Vanish for them. Running multiple SS traits, Subterfuge and lining up vanish with the spawn will ensure high add-DPS. If your raid is struggling with killing the adds in time, re-apply rupture to the boss shortly before they spawn, then vanish>garrote the boss, shadowstep/run to the adds and garrote both of them too for maximum DPS. If the raid is struggling with killing the barrier during the Ring of Peace phase, hold your vanish for this part and triple-garrote three sections after they’ve been made vulnerable with the orbs. Step onto pets if possible to reach the barrier faster. If you’re killing the mage second, try to have CoS ready for the soft-enrage phase in order to soak additional magma traps. Jewels: Rogues are very good at maintaining the ruby debuff since we are melee and our GCD aligns with the 1second inner cooldown. We can also cloak mechanics and use our ranged ability to make sure it doesnt run out during heavy-movement situations. If your guild has enough rubies, go opal instead. If you’re running SS and Subterfuge, you might wanna hold onto your vanish and use it right before you get teleported. This allows you to apply a buffed garrote on both Golems. Make sure to refresh your dots before you get teleported. Focus on singletarget traits/talents, there’s only very little AoE going on (2 waves of adds, boss dies before the third) and it heavily favors burst AoE. Make sure to rupture one or two adds while applying the ruby debuff with FoK, and use the additional CP/Energy gained to deal even more damage to the boss. You can stack the lightning debuff on top of each other, since they only pulse every ~3seconds. That way you save space for your ranged DPS. Important note: While the 100% Crit buff is running (Topaz carriers), do not rupture any adds, spam envenoms into the boss instead for Max Damage. 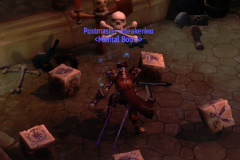 Multidotting on this boss is rarely worth it, unless you have to leave melee-range on your priority target you will not see a significant singletarget DPS increase by multidotting the second boss. Go for full singletarget traits/talents instead. Prey on the Weak and Internal Bleeding are both very good choices here to help with the raptors. Internal Bleeding for slightly more damage, PotW for your raid to deal more damage. Keep in mind that even a 1CP Kidneyshot will still apply the full effect of PotW. Hold your Cloak of Shadow for bad overlaps to get rid of the Cry of the Fallen. You can also help the raid by baiting Kragwa during Pakus Wrath while CoS is active (targets 1 of the 3 furthest targets). You can cloak the Frogs by running over them immediately after they spawn. Hold Sprint as well to get all 5 of them. Prioritize the Frogs that would jump towards the Deaths Door drop-spot. Make sure to use Blind on CD during P2. When mindcontrolled the game will occasionally blind other people, including the tank, which can cause major issues. Hold Vanish for P3 when Melee are using BL to kill the adds. Prioritize the adds over the boss at all times (unless they’re still CCed). Make good use of Feint+Crimson Vial in the last Phase, the Boss is not a DPS race and helping out healers here greatly increases the chances on a kill. Feint will be ready for every single Scorching Detonation. Mekkatorque: Use Spark Bots for additional ressources on Normal/Heroic, only if close in range. Have a Step ready for the Wormhole phase.Other than that, there’s nothing special to do. Stormwall Blockade: Reapply dots when they swap positions on the boats. For most add spawns, you won’t have to hit them or only slightly. You might want to save a vanish for later spawns if it gets a bit messy and hectic to ensure that those adds won’t reach the boss. Pretty straight forward apart from that, hit the boss and don’t get hit. Jaina: Nothing really special, Dot blocks/barrels for additional ressources/energy returns. Cloak Ring of Ice to stick to the boss a bit more. Maybe save the 2nd cloak for the intermission so you can speed run to one of the further images and interrupt that while not getting frozen. Dot the Water elemental a bit while you’re running down for extra energy in p3. To be honest, most fights are pretty straight forward and don’t give a lot of options to do something special. 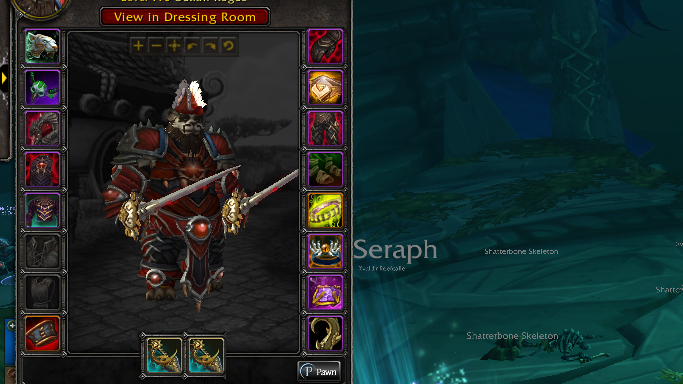 Especially on heroic I haven’t gotten the possibility yet to test around different traits, setups etc. Will update this every now and then when I come across something new! Update: With the recent Sub nerf on TFD and Sin being untouched, Sin will be the clear winner of this tier again. Sub might still see some value on ST fights, will see how Mythic ends up being. Outlaw has good potential on Jaina due to the ability of cleaving the Ice Blocks nicely and even gain ST from it due to the Wits trait. Personally, the only bosses where I could see Sub having value are Grong, Opulence (Shs->Evis during add waves) and maybe Stormwall Blockade. Battle for Dazar’alor is looking to be a great tier for rogues, opening a lot of trait combinations that will make the playstyle a lot better. Also the fighting styles you’re coming up against look like rogues will find a lot of value, not only in the regard of soaking stuff, like on Jadefire Masters. ST and Cleave fights definitely are the area of Assassination, with Subtlety having a shot at pure ST fights. With the release of the tier in the next few days and Mythic starting the week after, I will try to update this guide as soon as possible, with talent/trait choices, but also with any small things I can find, that might give you an edge over others. My name is Tisumi, former Moderator of the Rogue Discord (Ravenholdt) and Raider in Myst on Draenor (~#50 World). I’m currently playing rogue, while focusing on Sub/Sin mostly. I will try to cover as much as possible in terms of gear, traits, maximizing DPS in general and maybe some special tactics in the new upcoming raid. During the first few weeks I will mainly focus on whichever spec is best for that specific encounter, however I will update it to cover all specs later on when I get the chance to play it. 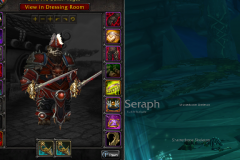 To have a second opinion, I will have Seliathan (Multiple R1’s and world firsts in M+ during Legion and BFA and currently in Familiar with Drama) to go over everything with me. For the Outlaw things I got some help from Loktark, also former Shadowblade on Ravenholdt, author of the Ravenholdt Outlaw guide, and a big community figure, especially among the Outlaw players. Patch 8.1 brings minor tweaks and a few straight up changes to the rogue kit. Nothing Personal replaces Poisoned Wire. Echoing Blades replaces Fan of Blades. Keep Your Wits About You replaces Storm of Steel. Snake Eyes has 10 stacks instead of 5, but they deal half as much damage. Shuriken Combo has been removed. Shuriken Storm damage has been increased by 35%. The First Dance has been updated. Shadow Dance now grants 2 combo points and Haste for its duration instead of a flat one time Critical Strike boost. Blade In The Shadows damage has been reduced by 40%, but now also reduces the cost of Shadowstrike by 2. In addition to its damage increase to Backstab, Perforate now reduces Shadow Blades cooldown by 0.5 seconds when Backstab is used from behind . 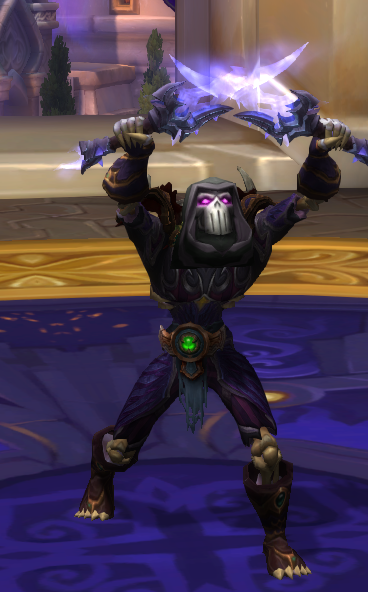 Replicating Shadows replaces Sharpened Blades (Note: this ability is currently buggy on the PTR and can cause some unexpected side effects). Lying In Wait effectively gives an out of combat heal and an in combat speed boost. Tl;dr: While all three spec have changes, the biggest are to Subtlety. Assassination and Outlaw are only mildly affected. 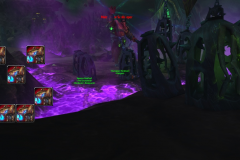 Welcome to the All in One Mythic Guide to Zul in the Uldir raid! This guide should sort you out with most if not all things Mythic Zul. If you have any questions feel free to ask in the #subtlety channel in the Ravenholdt discord. This strategy is significantly nerfed come 8.1, Subtlety Rogue is receiving several heavy nerfs across the class due to its potential to cheese this fight. 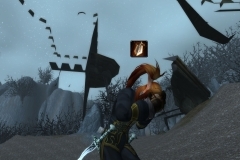 Shuriken Combo was removed making eviscerate hit 28.5% less, with a 24.3% buff given to Shuriken Storms damage; Both of these changes are bad because it kills crawgs faster, and priority target slower; On Zul however eviscerate isnt your only ability, so this change is only a 20% nerf to priority target damage. While sub rogues are still the strongest at priority damage, they have been brought more in line to other classes. 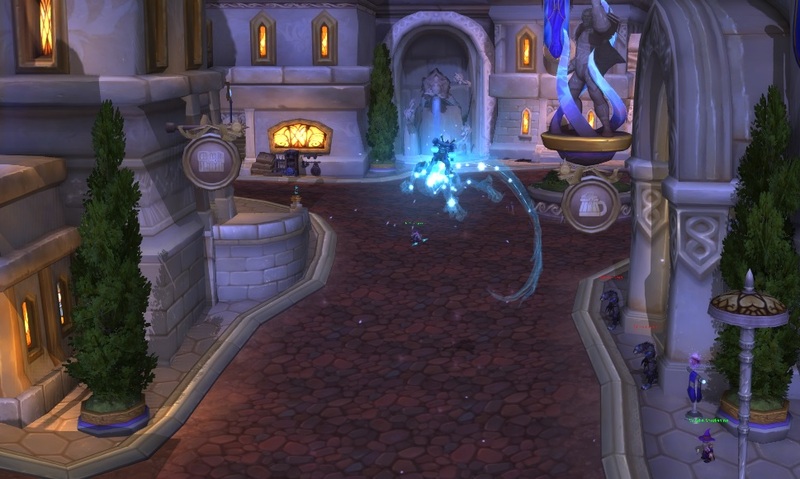 Shuriken Combo – Shuriken Combo is no longer listed as a Subtlety spell, removed from the spellbook entirely. Shuriken Storm Sprays shurikens at all targets within 10 yards, dealing [(18% ->20.7% of Attack power)] Physical damage. 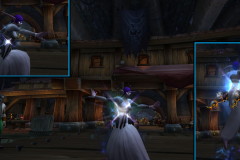 The First Dance was changed to become a haste buff instead of a crit buff, which makes it fairly useless for Zul compared to its Crit iteration. This trait could even be potentially harmful as it could switch your reorigination array to haste from mastery. Read about the comprehensive changelog here. To sim for Zul, do 6 Target Patchwerk, the time depends on your raid group but it’s typically 3-4 minutes. 6 Target removes the multi-dotting condition, you’ll have consistent adds, and there are no meaningful mechanics besides DPS for sub rogues. 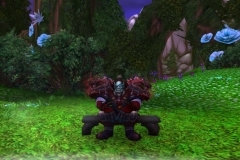 However, even that comes with a few quirks and differences to the typical Zul playstyle (e.g. Night’s Vengeance simming at more value than it “should” because it automatically causes multi-dotting). This means you can put priority_rotation=1 into the Custom APL box on Raidbots and use it on Top Gear, Gear Compare etc. Using this plus the usual 6T 4min sim, the sim should match Zul better. Azerite: Archive of the Titans is extremely strong here; typically stat increase traits like Agi/Mastery/Crit will have strong value. Sub doesn’t really have any strong “AoE” traits, so you have to si your combinations using the settings in the previous section to be sure. Spend combo points/finish on 5+ (Eviscerate, unless you need to refresh Nightblade). Use ShD with SoD/tornado or to prevent overcapping charges (which can happen a lot since the CD reduces massively in AoE) and in SoD/tornado. Don’t hold SoD/tornado you hold a ShD charge. Keep Nightblade up on Zul, refresh so it doesn’t fall off during SoD/ShD but never refresh during ShD (refresh before if it will fall off during ShD). Don’t reapply find weakness in dance apply it through vanish/stealth and do so right before tornado. You can only fit 5 globals in dance (GCD isn’t affected by haste), and neither SoD nor ShD are on the GCD so you cast them at the same time; it does not matter which goes first. When using tornado, use it one second before SoD/ShD to not waste a GCD in dance, and always go into dance on high combo points for maximum priority target damage. 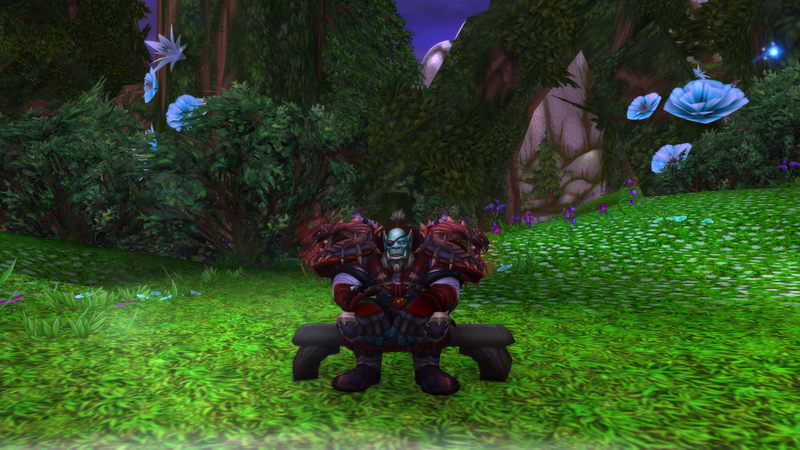 See Kistler’s guide to see how you can deal with certain mechanics as a rogue. 1) Applied find weakness through vanish/stealth only. 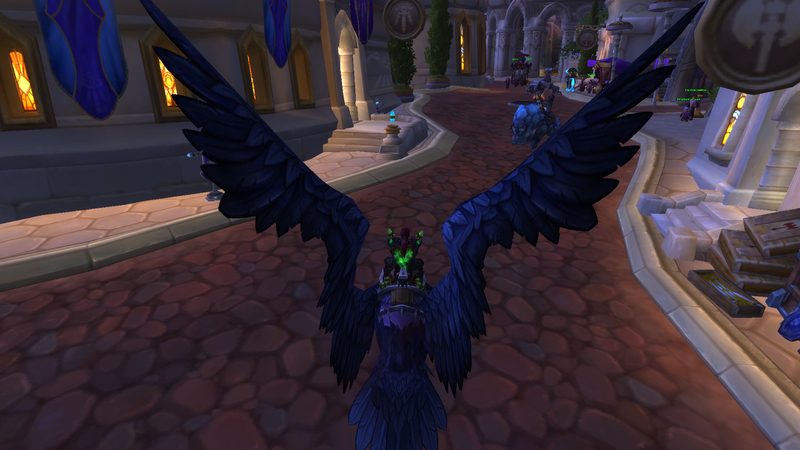 2) Kept up Nightblade and did not refresh inside ShD. 3) Delayed SoD/ShD by a gcd to not waste a GCD in dance. 4) Went into ShD on high combo points to get 3 eviscerates in ShD instead of just 2. Note: the single Shuriken Storms are from tornado and the double ones are from when Shuriken Storm is cast by the player, it’s formatted that way in WCL. If you’ve been hanging out on Twitter, you may have seen previews of Martin Veznaver’s Assassination Artifact Weapons in process. This pro-maker has created an absolutely stunning real life prop version of the green Heart Stopper skin. Now that the daggers are complete, he has agreed to chat with us about them and about what he does. 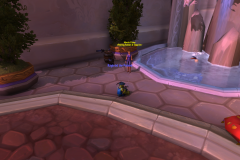 Obviously, you have some familiarity with the game – do you rogue? 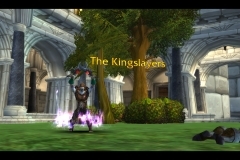 Yeah, Rogue was the first class I ever played on WOW, I got into playing around the time of Wrath of the Lich King. 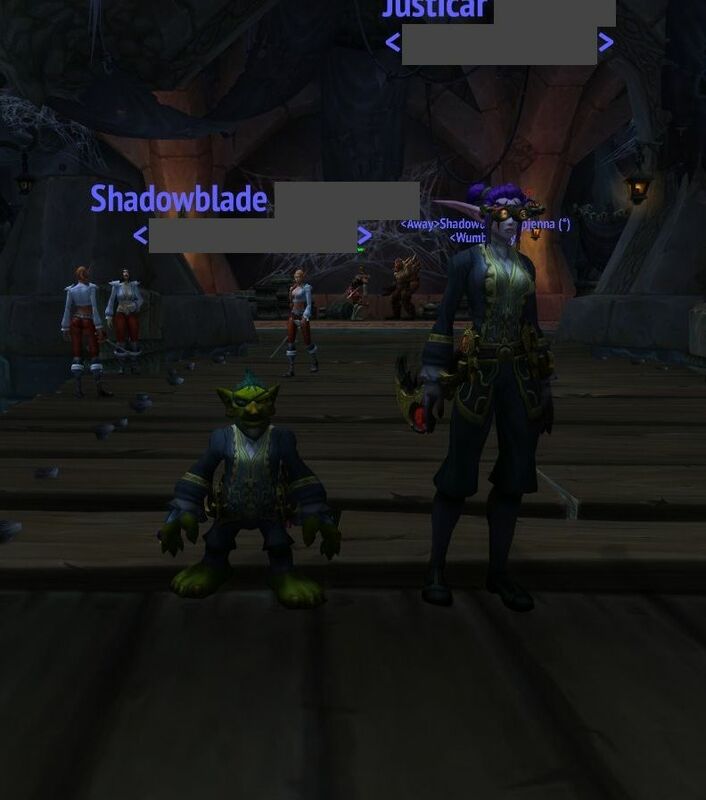 I have always been a fan of stealth growing up playing games like metal gear solid and splinter cell so the rogue class definitely jumped out at me when creating my first toon, there’s something very enjoyable about lurking in the shadows and dealing DPS like only a rogue knows how. Unfortunately, I don’t really get the opportunity to play anymore, but I love that my work allows me to remain part of such a great community. What do you enjoy most about the game? I definitely consider myself a bit of a collector so My favourite part of the game is the ability to track down and collect rare weapons, mounts and gear. 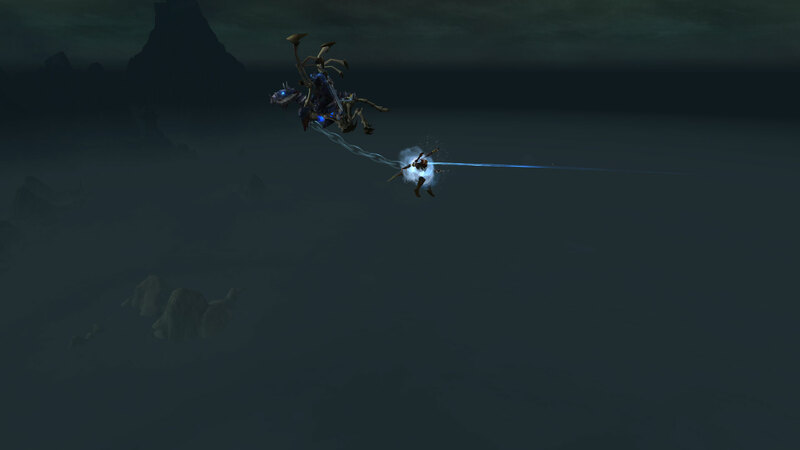 I remember flying around storm peaks for longer than I care to admit getting my Time lost proto drake. That aspect of the game gives me a real buzz. Are these daggers your first WoW project? Yes, these daggers are my first project from WOW but certainly won’t be my last, I always love seeing what the developers will bring us with each new expansion and really love the aesthetic of the gear, it also offers me a really fun challenge in that I have to figure out how to create the magical aspect of each item and how it will be replicated in a real world prop that you can physically hold. I was really inspired by some of the material that was released for Legion and was drawn to the artifact weapons and in particular, the sets that were available for rogues. Most of the sets piqued my interest but I settled on the Heart Stoppers as they look diabolically badass. What inspired you to choose them? I wanted to set myself a bit of a personal challenge, both with my technical ability but also push the boundary into using some materials that I haven’t worked with before. 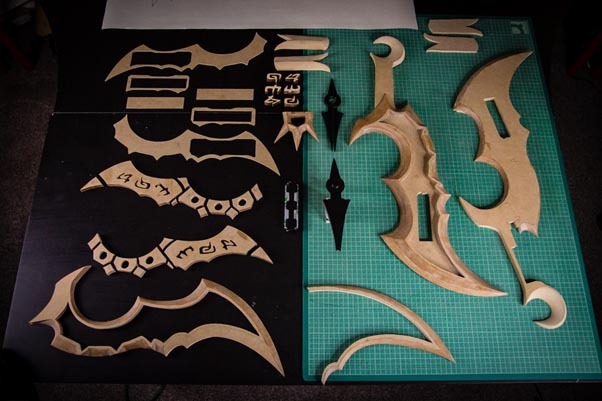 However, in hindsight, it was a large undertaking as the finished daggers have 42 individual parts that each had to be hand sculpted. The design of these blades instantly stood out for me, I love the fan of knives style fins, the completely unnecessary spiked pommel hanger and the poison phial that crowns each blade. The whole design screams rogue. 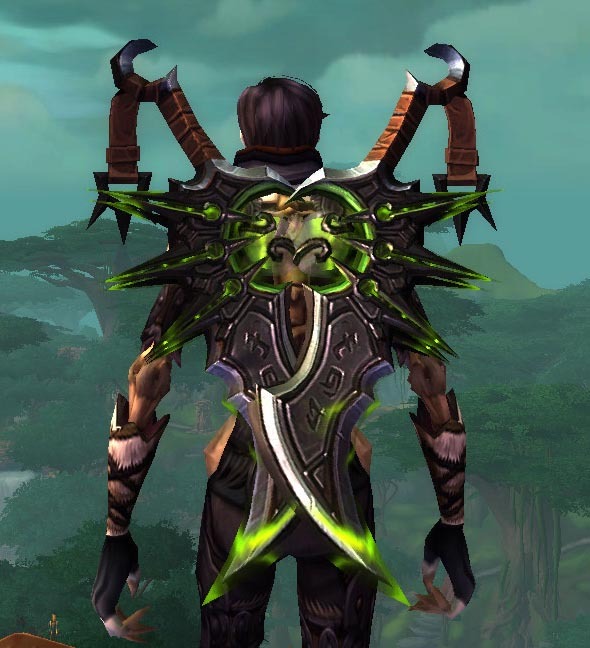 Thanks to Wowhead’s model viewer for the in-game version. They look so real – what are they made of? 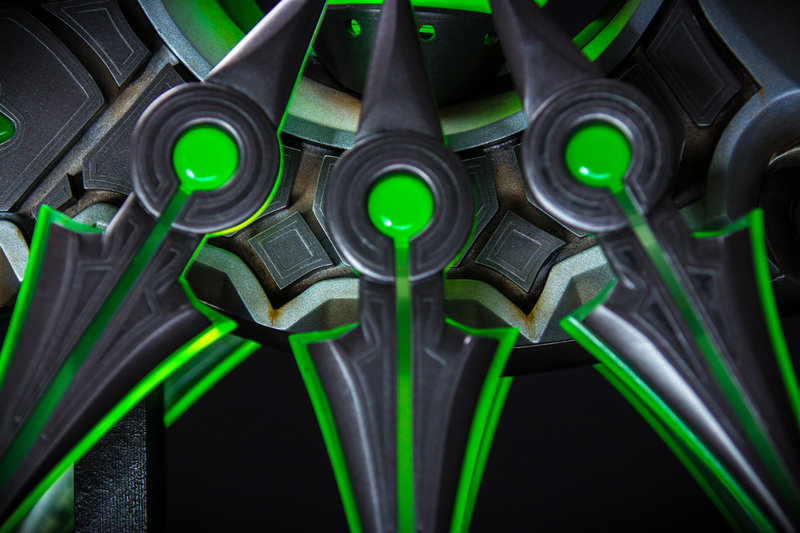 The finished daggers are cast in two types of Polyurethane resin; one clear and the other that cures opaque white. 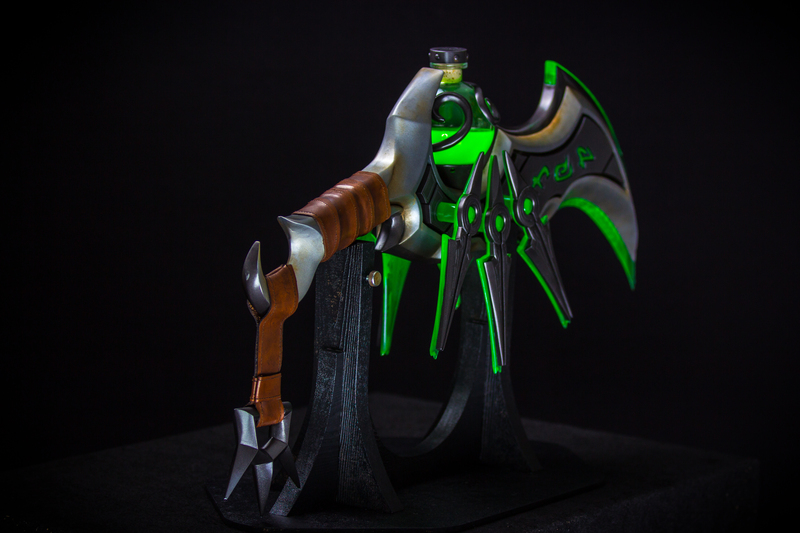 There is also some glass and of course as a rogue weapon it needed some leather. The parts are then sprayed with automotive paints to emulate the appearance of various metals. Quite embarrassingly this build took me a grand total of 2 years start to finish. This was a personal project with no client commissioning it to be made, so repeatedly had to be pushed to the side as other paid work came in. At the time that I started, I only had a selection of power tools and hand tools to work with so each piece was meticulously hand sculpted (no 3D printing was used in the creation of this project.) Since then I now have 3D printing capability in the studio so some of the time-consuming aspects of prop making can be sped up. Tell us a bit about your process and materials. For the basis of this project, each piece starts the same way. 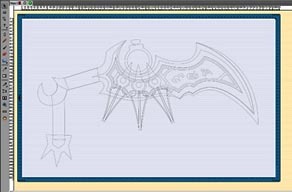 Initially, the artwork is processed in graphics software so that I can reduce it down to a simple line drawing of the full sized dagger. This linework is drawn out full size so I have reference to build to and can also cut out paper templates which I use to cut each piece out of MDF (medium-density fibreboard). The cut pieces are then shaped using saws files and abrasive papers to get the shape that I require. MDF is very porous and does not like to hold a sharp edge, so each part is stabilised with CA glue (super glue). The glue is allowed to fully cure and then each part is then sanded smooth and primed with automotive primer. Each of these pieces becomes my mould master which I use to create a silicone mould so that I can replicate each part over and over again in Polyurethane resin. The PU plastic parts are then primed assembled and painted with automotive paints to match the original artwork or customers requirements. 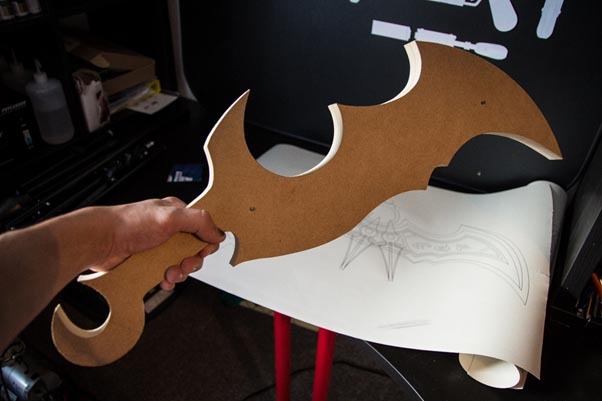 …so that I can reduce it down to a simple line drawing of the full sized dagger. This line work is drawn out full size so I have reference to build to and can also cut out paper templates which I use to cut each piece out of MDF. The cut pieces are then shaped using saws files and abrasive papers to get the shape that I require. MDF is very porous and does not like to hold a sharp edge, so each part is stabilized with CA glue (super glue)The glue is allowed to fully cure and then each part is then sanded smooth and primed with automotive primer. Each of these pieces becomes my mould master which I use to create a silicone mould so that I can replicate each part over and over again in Polyurethane resin. Image 1: An oversized piece of styrene is cut to form a base for the mould, oil based clay is laid down around the half way point of the part to be moulded. Image 2 & 3: A retaining wall is built up around the part using styrene and super glue. Image 4: Registration marks are added using the back of a paintbrush, which will ensure both halves of the mould line up properly later on in the process. Image 5: Silicone is measured, mixed and then poured into the lowest part of the mould and left to find its own level. Image 6: The silicone is left to fully cure, with this silicone it is 6 hours. Image 7: Once fully cured the retaining walls are removed the part gets flipped over and any residual clay cleaned from the part. Image 8: Retaining walls are rebuilt to form the second part of the mould and everything gets sprayed with mould release to prevent the freshly poured silicone sticking to the previous layer. Image 9: Pour spouts and air vents are added using dowels, these will form risers for air to escape later in the process eliminating air entrapment. Image 10: A second batch of silicone is measured mixed and then poured over the part. Image 11: The silicone is left to fully cure. Image 12: Once fully cured the retaining walls are removed. Image 13: Pour spouts and air vents are removed and the two halves of the mould separated. Image 14: Finally the mould master can be removed from the newly formed mould. Image 15: The mould is closed back up, and two plates are cut to match the top and bottom of the mould. Elastic bands are applied to keep everything together and then resin is poured into the mould to replicate the part. This process was completed for each part of the dagger. The PU plastic parts are then primed assembled and painted with automotive paints to match the original artwork or customers’ requirements. Making props is obviously something that you are superior at. Is this what you do as a profession or is it just a hobby? For as long as I can remember I have always been making things, I find it very relaxing and enjoy the challenges and skills that each new project requires to complete. Initially, it was my hobby but has grown into my full-time profession and I founded Made It Up Studios, I take on private commissions for everything from replica film and game props to industrial commissions for bespoke pieces used in events and advertising. If you can’t find what you are looking for in the shops, chances are that I can make it for you. I love the diversity of work that I get asked to create. A couple of months ago I was in New Zealand at Weta Workshop. Seems like the kind of place you’d fit right in. Any aspirations to go in that direction? Funny you should ask that, it is actually my dream to move over to New Zealand and join the talented team at Weta Workshop, I would love to work in the film industry, so if anyone from Weta is reading this please hire me. How do you learn all of the skills that you need for your projects? Do you take classes or figure it all out for yourself? I have been formally trained to use all of the machinery that I use on a daily basis, but the majority the skills needed are learned along the way, I love tackling a new project that will require me to learn a new skill I feel very lucky to be part of this industry of makers, there are some incredibly talented makers and content creators out there that share their techniques so that others can start making things for themselves. You mention that you are trained on the machinery that you use. I imagine that you must have more traditional skills as well: leatherworking, metalsmithing, sewing, etc. 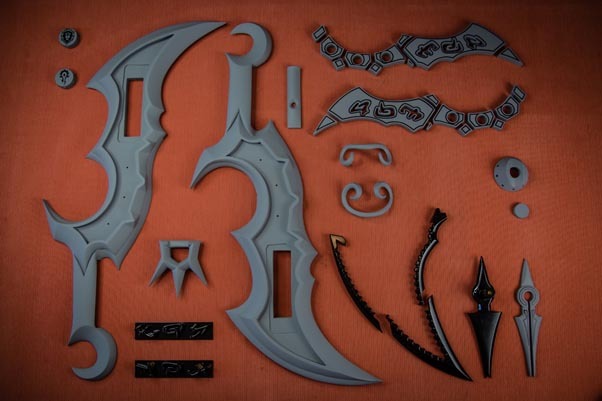 As a silversmith and former cosplayer myself, I can appreciate the amount of work that each of these skills take. 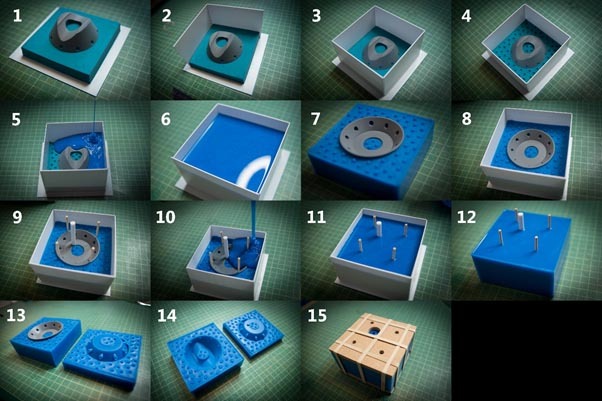 Do you pick up skills like these as you go along, or do you have a solid foundation of traditional skills that you can use to supplement the more modern casting, 3D printing, etc.? 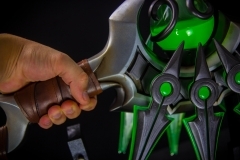 The 3D printing aspect is a very new development in the methods that I use for prop making and has been self-taught, the training needed for creating 3D models digitally however I learned at university studying Design for Industry. The software capabilities now are far superior but the overall method remains very similar. The high school that I attended was a technology college, so we had the opportunity to study everything from electronics, textiles, product design and graphic design which I have continued my learning keenly over the years and went on to study 3D Design at college; the wealth of skills I picked up there come in extremely useful when designing and building props. It is very rare to produce something and only use one medium, I find that on most builds the line blurs between disciplines so it is fortunate that I am as comfortable using a sewing machine as a band saw or sculpting tools. I find that most skills are transferable and make learning new techniques easier, I quite often have to tackle a new problem and learn a new skill in the process, which is one aspect of my work that gives me a huge sense of job satisfaction. What’s next? Any more daggers on the horizon? 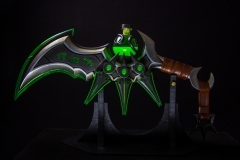 Fantastic, thank you for talking to us and showing us these amazing daggers. I can’t get over how great they look. 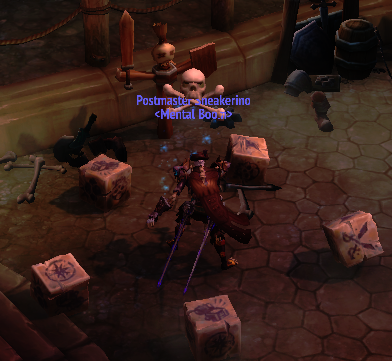 Also, I was going to ask Horde or Alliance…but I guess it’s For the Horde! Weta, don’t pass this guy up! Hello! 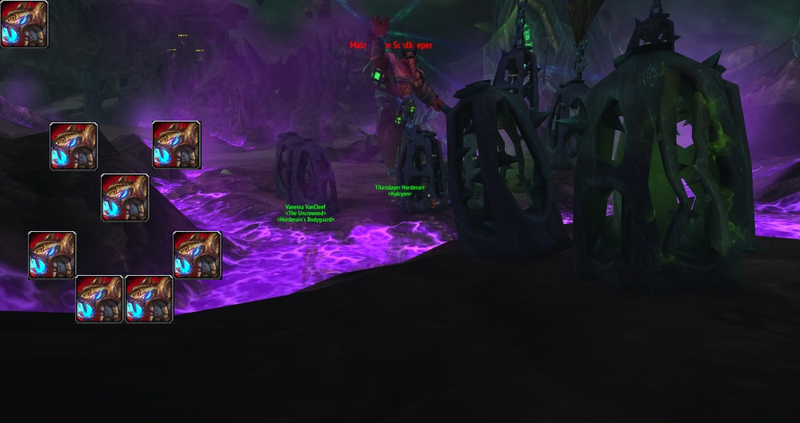 Kistler here, back with this tier’s short rundown of Raid Tips & Tricks for Battle for Azeroth’s first raid: Uldir. Happy raiding! Italicized mechanics still need confirmation, and as always, this page will continue to be updated as more of the Mythic content is seen and experienced. Please let me know in the comments section if there is a missing interaction you think should be included. CloS negates Plasma Discharge, not spawning puddles. CloS negates Cudgel of Gore damage and knockback. Evasion/Riposte does NOT work on Retrieve Cudgel. (Mythic-Only) CloS removes Hardened Arteries. Interrupt, stun, & gouge Remnants of Corruption‘s casts. CloS and Feint work on Uldir Defensive Beam. CloS and Feint work on Defense Grid. NOTE – Upon reaching the final chamber, you will receive Strength of Purity (+100% damage taken). Therefore, time your damage cooldowns accordingly. CloS does NOT remove Malodorous Miasma but DOES work to prevent the application of Putrid Paroxysm if used 1-2 seconds before Miasma expires/would normally progress into Paroxysm. Feint works on Shockwave Stomp. 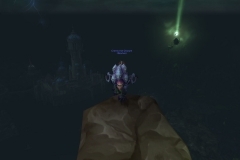 Utilize Shadowstep or Grappling Hook while mid-air (you are not pacified/stunned) to maximize boss up-time. CloS prevents prevents damage from Rotting Regurgitation. CloS and Feint work on Surging Darkness. CloS does NOT remove Eye Beam. 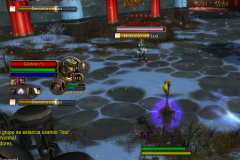 Evasion and Riposte work on Silithid Warrior adds–Tricks does not. CloS does NOT effect Roiling Deceit. 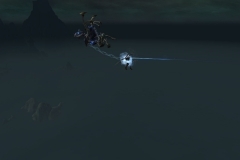 Interrupt Nerubian Shadoweaver adds’ Void Bolt cast. CloS works on Void Wail, the aoe-fear as Corruptor’s Pact expires. Interrupt Psionic Blast cast by MC’d players. CloS and Feint work on Plague Bomb. Does Feint lessen damage from Contagion? CloS prevents damage from Omega Vector, and if you CloS just before Omega Vector expires, you do not gain a stack of Lingering Infection. CloS removes stacks of Lingering Infection, help out your healers if you get a high number of stacks. No longer true. CloS removes and spawns Dark Revelation‘s adds. Interrupt and kill Nazmani Bloodhexers. Feint works on Pool of Darkness. CloS prevents the damage and Corrupted Blood stacks given by the Locus of Corruption cast as he transitions to Phase 2 at ~40%—it will still knock you back. CloS does NOT remove Annihilation stacks; focus on removing via Existence Fragments. CloS removes and triggers Imminent Ruin; run out before you CloS. CloS immunes Xalzaix’s Awakening: preventing damage and the additional Annihilation stacks, upon transitioning to Phase 2. Interrupt and stun Visions of Madness. CloS & Feint work on Obliteration Beam. CloS/Feint works on Unclean Contagion. CloS does NOT remove Explosive Contagion. Interrupt Decaying Eruption and Torment from the adds on the arena floor. CloS immunes Wave of Corruption. CloS does NOT remove stacks of Putrid Blood. (Heroic+) Interrupt and prioritize killing Blightspreader Tendrils. (Heroic+) CloS prevents damage from Malignant Growth. 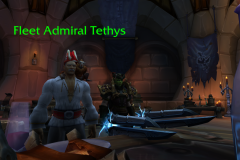 It’s finally here: the most awkward month in WoW. 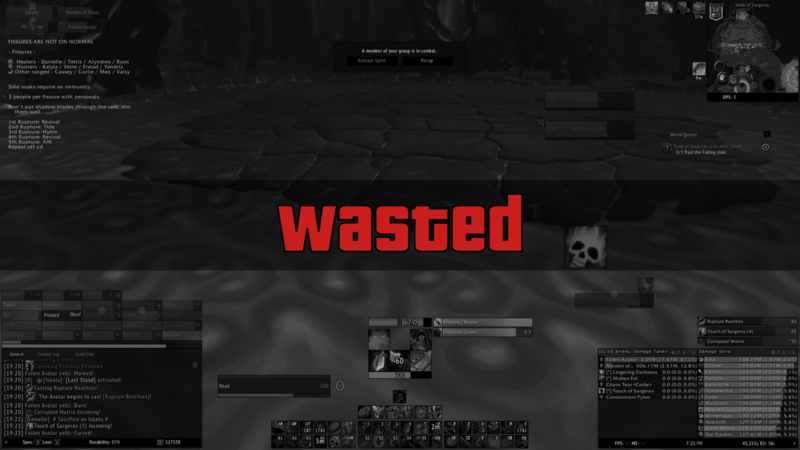 With the Battle for Azeroth pre-patch, a.k.a. 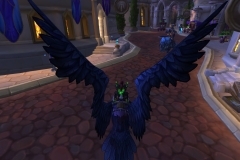 Patch 8.0.1, landing on July 17, a four-week period begins in which we’re caught in an eerie limbo between the outgoing expansion (Legion) and the incoming one (BfA). 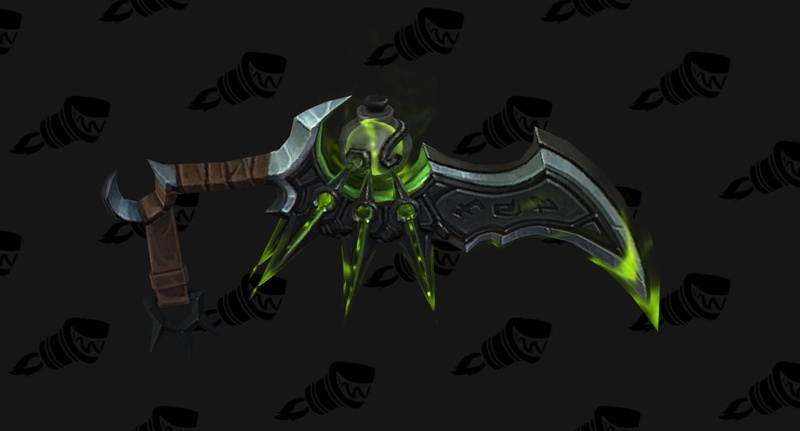 All of our rogue class changes will take effect — RIP, beloved artifact weapons! 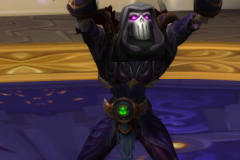 — but we won’t be able to level from 110 to 120, claim our new Azerite traits or experience the full power (and spellbook) of our max-level rogues. 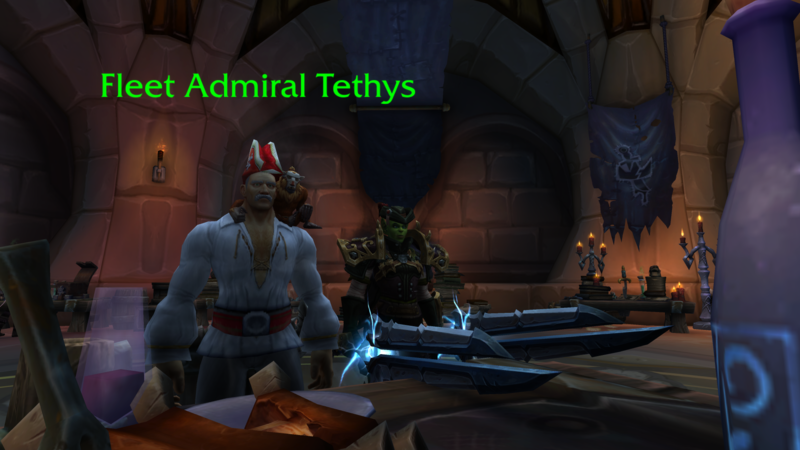 We’ll have to wait for Aug. 14 and the official launch of the BfA expansion for that to happen. In the meantime, the next few weird and wild weeks offer a pretty excellent opportunity to get caught up on exactly what’s changing for each rogue spec as we shift into the new expansion. Here’s a brief rundown of resources we recommend if you’re looking for clear and helpful summaries of everything that’s changing in the world of rogue. I’ll keep this list updated with the bestest, most up-to-datest resources I come across; feel free to ping me on Twitter (or hit up the Ravenholdt Twitter account) with recommendations! Many Talents and PvP Talents have been adjusted. 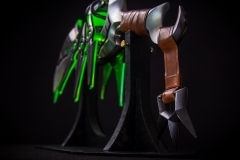 Hidden Blades – Every 2 seconds, gain increased damage for your next Fan of Knives, stacking up to 20 times. 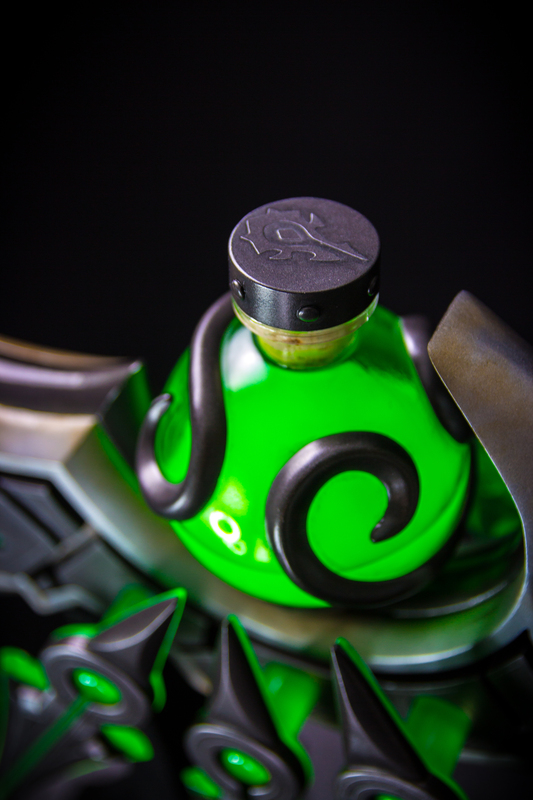 Poison Bomb – Envenom and Rupture have a chance per combo point spent to smash a vial of poison at the target’s location, creating a pool of acidic death that deals Nature damage over time to all enemies within it. Saber Slash is now Sinister Strike. Run Through is now Dispatch. Blade Rush – Charge to your target with your blades out, dealing great damage to the target and all other nearby enemies. While Blade Flurry is active, damage to nearby enemies is increased. Generates Energy. Loaded Dice – Activating Adrenaline Rush causes your next Roll the Bones to grant at least two matches. Secret Technique – Finishing move that creates shadow clones of yourself. You and your shadow clones deal damage to both the primary target and nearby enemies. Shuriken Tornado – Focus intently, and then release a Shuriken Storm every second for the next 4 seconds. 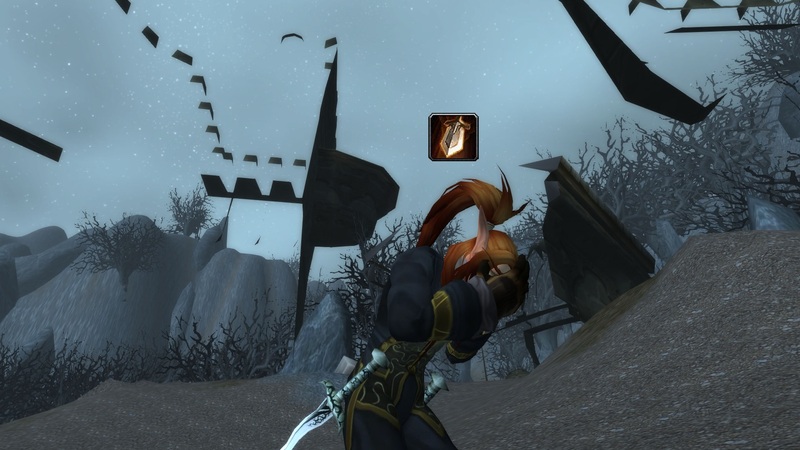 Finally, for more general information regarding the changes in store for the pre-patch and beyond, it’s hard to beat Wowhead’s comprehensive survival guide. 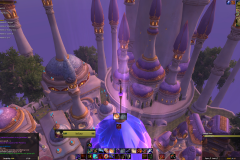 These bare-bones guides, written by Fuu, provide basic recommendations on optimal talents and DPS rotations to use in end-game raiding during the Battle for Azeroth. We’ll post more comprehensive spec guides for Level 120 end-game as we get closer to the official BfA launch on Aug. 14. 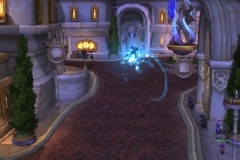 Also take a look at our BfA/8.0.1 “What’s Changing” post, which includes a bunch of links to additional guides and other resources. 2210021 – Pre patch. T1 Talents are close so best is to sim all 3. *replace the first Builder after Vendetta with Fan of Knives if you use Hidden Blades. Use Marked for Death on low Combo Points. Use Vanish if Garrote has ~6 seconds left . 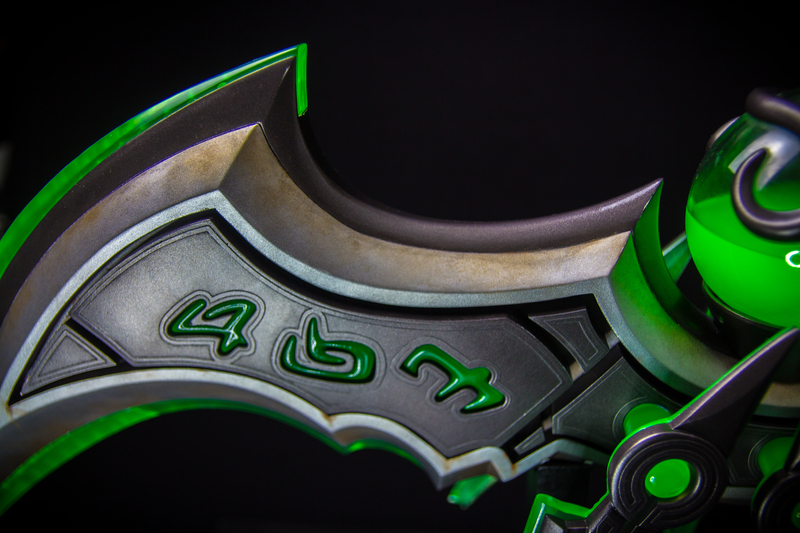 Use Toxic Blade on cooldown. Use Blindside if you have a proc and not on full cp, always below 30%. Use Garrote if it has ~6 secs left (and is not empowered) and you are not on full cp. Use Garrote if it has ~1 secs left. Use Finisher According to Finisher priority with 4+ Combo Points. Use Builder According to Builder priority with less then full Combo Points. Crimson Tempest – refresh with 2 or less seconds remaining. Rupture – refresh with less then ~5-7 seconds remaining. Rupture – on all Targets. Garrote – on all Targets. 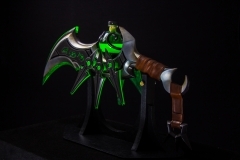 2010023 – for pre patch ONLY under the condition that you use Mantle of the master Assassin and T21 4p (likely without T20). Grand Melee or Ruthless Precision or any 2+ buffs. Note: Adrenalin Rush will put you out of stealth, you can enter stealth or open with Sinister Strike. Use Adrenaline Rush on cooldown. Use Blade Flurry on 2+ targets. Use Blade Rush during Blade Flurry on 2+ targets. Use Finisher according to Finisher priority if you have 5 Points. Reduce the Amount by 1 if Broadside or Opportunity is up(by 2 if both are up). Use Builder according to the Builder priority with less then full Combo Points. Shadowstrike/Shuriken Storm depending on target count. Finish with 5+. Use Secret Technique as first Finisher in dance, Eviscerate for the following. Use Symbols of Death on CD. Use Shadow Blades on CD. Use Vanish with 1 or less secounds of Find Weakness remaining. Use Shadow Dance with 2 or less Combo Points when Symbols of Death is up. Use Shadow Dance with 2 or less Combo Points when you are about to cap on charges. Use Finisher according to Finisher priority if you have 4+ Combo Points(MfD) or 5+ with (DS). Nightblade – refresh it with less then 4,2 sec remaining (Mfd) or less then 4,8 sec remaining (DS). Nightblade (exception) – refresh it shortly before symbols comes up if the duration is to low(less then remaining cooldown + 10). 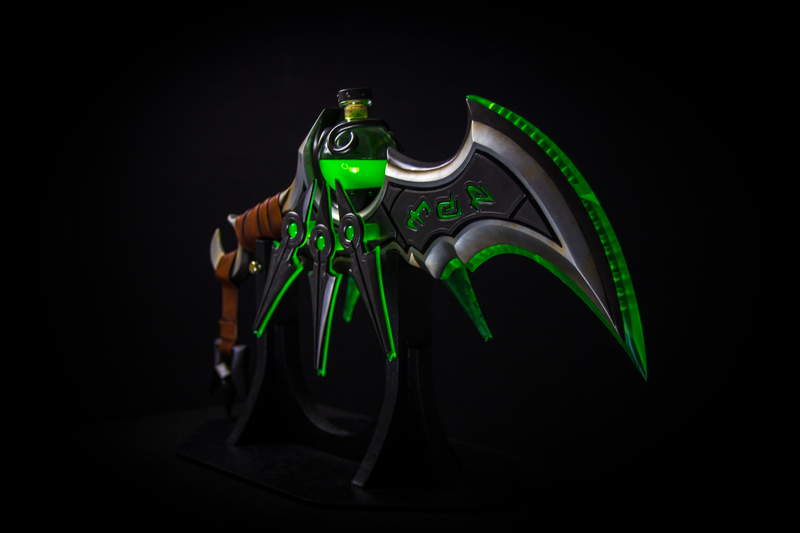 Nightblade – on all targets if they survive for 12+ secounds. Secret Technique – Preferably use during Shadow Dance, use on CD with more targets due to cdr. Rotation and Talent choice can be slightly different in the pre-patch. Talents are distinguished by talent number in row order. 0 signifies free choice. NOTE: The shown talent is an Example, the talent for your specification can be found in the Talent section of each spec. An impressive 105 of our roguely brethren participated in the first-ever Ravenholdt giveaway, as we dished out Battle for Azeroth beta keys to 15 lucky rogues who submitted screenshots of their character on our Discord. Though most of you didn’t come away with keys in this giveaway, we wanted to thank and acknowledge each of you who took part and submitted screenshots. We were thrilled with the response, and we hope you had fun taking part! 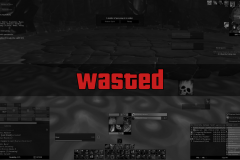 Your screenshots captured moments of victory and failure; of humor and sadness; of accomplishment and ineptitude — the accumulated essence of what it has meant to play a rogue in Legion. We’re proud to share them all in the galleries below for posterity. Ahoy! I am Don Jose#9643, one of the moderators of the Ravenholdt Discord community. 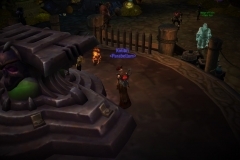 With the release of allied races and the revamp of the level-up experience (increased mob hp, zone scaling, higher xp requirements to level, etc.) 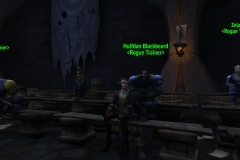 we’ve been fielding a lot of questions about the level-up experience for rogues. This document is a TL;DR “guide” of 1-90. Bear in mind this content is purely my opinion. 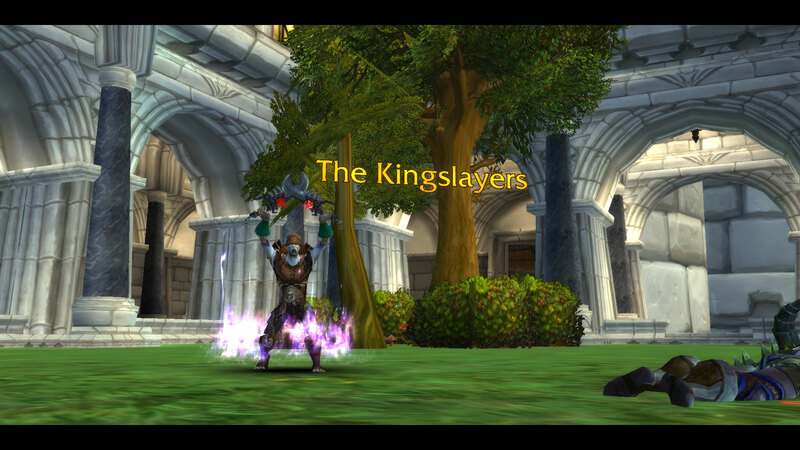 During the level-up experience rogues lack real AoE tools until level 63 and are strongest in 1v1 situations. You want to use Sap, Blind, Cheap Shot, and Gouge to try and even the odds if you find yourself facing a 2 or 3 pull. Even at level 63, your energy regeneration might not be enough to solidly sustain AoE. Begin combat from Stealth whenever possible, and remember that you won’t get Vanish until level 48. Bummer. I would not level as Assassination. Against 2+ mobs, Shadow Dance gives you another burst/stealth phase. At level 42 Shadowstrike ports you to your target – great mobility! 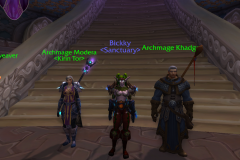 In my opinion, Subtlety is the most versatile and fun leveling spec. It has great burst and mobility. 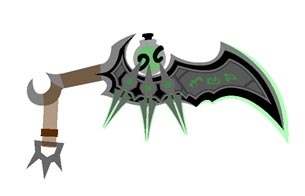 If mobs survive your initial burst, Gloomblade will be the best option, as you likely won’t be able to Backstab them without juggling CCs-all of which is a waste of time if you could just kill them with a Gloomblade. 30: Hit and Run. Grappling Hook has a lot of pathing issues, but if you’re in flat areas it’s probably more useful. You want to be sure to Ambush from stealth and use Saber Slash to get to a 5 combo point Run Through. Only use Pistol Shot for its slow or on Opportunity procs (free use). Use Between the Eyes as a stun or a ranged hit. Use/abuse Bribe at level 54; this can actually be a mighty tool! Once you unlock Roll the Bones, maintain a buff as much as possible, but don’t waste energy re-rolling. 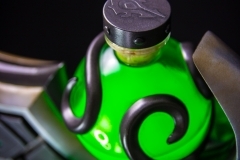 If you insist on leveling as Assassination, wait until level 36 for Envenom. At the time of writing this, I haven’t tried low level dungeons since the changes hit, but I’ve heard that they now take longer and yield less XP than questing, on average. If you opt to run dungeons, know that your trash damage is going to be less than many other specs. As Assassination you can experiment with multi-dotting mobs, but overall you will probably just do better focusing on one target at a time. Your time to shine is against bosses. At level 63 this may pick up significantly. If you have experience with the 63-100 level range let me know! In the past, websites, forums, and IRC were the primary sources of information about World of Warcraft, along with word-of-mouth. When Discord launched it quickly became the go-to resource for game communities. There was no manual–we were all pioneers as users and leaders of the platform. Over the past year we have learned a lot about the strengths and weaknesses of Discord as a chat client that is different/unique from anything that came before it. Recently there has been a lot of discussion amongst the Ravenholdt moderation team as to how we could improve, and how class Discords in general could improve. I decided to write this guide because there is still a large volume of users that plunge into the deep end of Discord and are overwhelmed. They don’t know the basics and standards across Discords–and, in some cases, there aren’t standards–and feel nervous about asking for help or don’t understand how to find the information they need. On the flipside, the community feels exhausted (especially around patch/ptr update days) by the sheer volume of identical questions they get every day. In this guide I will attempt to educate you on the baseline tools to have a good Discord experience. I will do my best to keep this brief. You need to bear in mind that each class server has its own rules, expectations, and organization, which I will get into later. Welcome to Discord. I will be your guide. Ahoy! 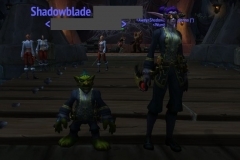 I am Don Jose#9643 and I am one of the moderators of the Ravenholdt Discord community; in addition, I have leveled all classes to 110 and at least lurk the majority of other class Discords. I consider myself a casual player because although I do raid, I do not push high M+ keys or compete in any Mythic Raid races. 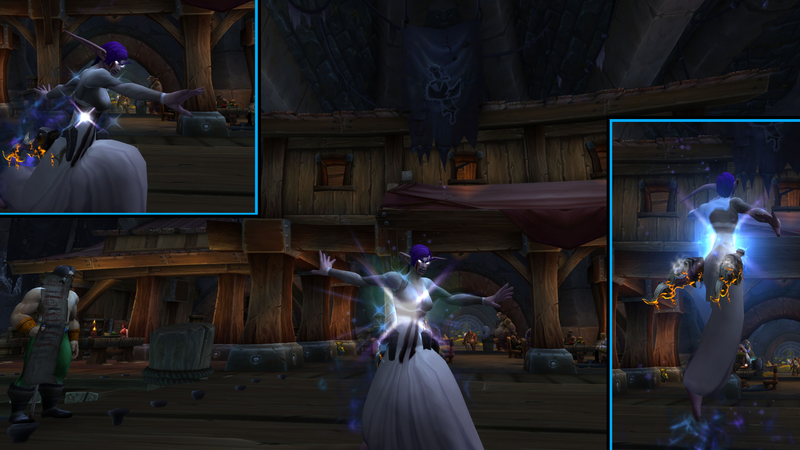 Anybody who knows me or hangs out in Ravenholdt knows that I love helping players, memes, and generally hate RNG. Note: I welcome all constructive criticism (spare me the “lol ur guide sux” DMs, thanks) and suggestions. You are free to spread this guide to all corners of the Intarwebz; in fact, I encourage it. We are all a part of Discord and how the communities will function and feel. Discord has a ​web client​ (opened in your web browser), a ​mobile app​, and a desktop client (​you download and run it like software). The Web Client and PC Client are more or less interchangeable, but the mobile app does have some important differences that I’ll mention where appropriate. This guide is intended to be relatively TL;DR: so I’m not going to walk you through all the functionality of them.  If you need/want more information, head to discord’s website: ​discordapp.com. To join a Discord community, you will need a link to that specific server community. Hi, #Outlaw! SND! CONSISTENT. STABLE. FUTURE. 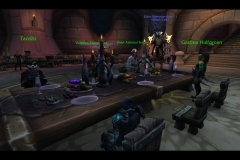 The majority of users will get invitations from guildies, friends, or forums. On the left side of the web and desktop clients, you will see that server’s channel list. These are the organizational ​topics of discussion​. Keep in mind that these are generally suggestions; players will often go off-topic. That’s one difference between a Discord server and a forum: these are living, breathing, real-time chats that move quickly. At the top, you’ll see the server you are currently on. FOR MOBILE USERS:​ On the ​mobile app, ​channels are listed when you hit the top left ​=​ button​. I’ll talk about pins soon. They are ​very important to universal discord use. If a Discord server has class or spec channels, ​that is not a guarantee that discussion will always be on-topic. This varies from server to server. Sometimes it’s just where players of that spec congregate. If a server has a “general” or “off-topic” tab they are often less strictly moderated and feature random discussion topics. Every discord has moderators. They are always listed at or near the top of the user list, which can be found on the right of the screen. You can open or close the member list using the “People” icon, circled. It’s usually open by default. This is the same button/placement on the MOBILE APP. Sometimes moderators have hierarchies with various titles. In Ravenholdt, our founders and team-leaders have purple names and are referred to (lovingly) as “Despots”. Many servers have bots. I’m not going to get into them because they vary greatly in functionality and control–but they’re usually there to automate things like Raidbots simming, role/color requests, and so on. Our moderators are are referred to (equally lovingly) as “Shadowblades”. Moderation from server to server varies a lot, but in general, they are there to keep the peace, enforce rules, and be a resource for information (or somebody who can point you to the correct resource). Treat them with respect and you will have it returned, 9.9 / 10 times. A Note: All mods are not around 24/7. They are volunteers, unpaid (as far as I’m aware), and they are not your personal helpdesk. Please consult the FAQs and the Pinned Messages before you reach out to them about game questions. If you see harassment, or feel like something wrong has occurred in the Discord chat, reach out to them with your concerns immediately. Do not escalate situations. As a final reminder, each Discord server operates independently. What might be considered harassment on Ravenholdt might be totally acceptable on another, so long as it doesn’t violate Discord’s TOS. If you’ve already gone on Discord you have likely seen push pin emojis and seen people saying “check the pins,” or; “it’s in the pins,” and so on. They will vary from server to server, but generally they are ​the most important, up-to-date, and relevant/frequently-asked questions and guides. FOR MOBILE USERS: The pins are located behind the ​“…” button in the top right corner of the server. 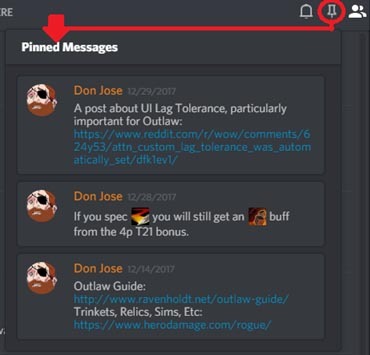 Note how when you open the pins in #outlaw I have listed relevant links to the guides, as well as a post about the current tier set and an external link to a post about UI Lag Tolerance. Each channel (such as #outlaw or #pvp) will have its ​own​ pinned messages. BEFORE TYPING ANYTHING CHECK THE PINS! ​ You are going to get meme’d into orbit if you join a Class Discord and ask a pinned question (ie. a question that is answered in a pinned message). The “regulars” of ​any community see it happen tens of hundreds of times per day, and it gets really old, really fast, to give the same answer over and over. ​That’s why pinned messages exist. You are not the first person with your question and you will not be the last. Imagine being a retail clerk and there’s a sign on your counter that says, “Restrooms are to the left,” but hundreds of times per day customers come in and ask you, “Where are the restrooms?” when you’re busy helping another customer. It’s a similar situation! There’s nothing wrong with having questions, but when you don’t put in that minimum of work/research yourself you just look lazy and entitled. Why am I being told to ‘Sim It’ or ‘Sim Yourself’? 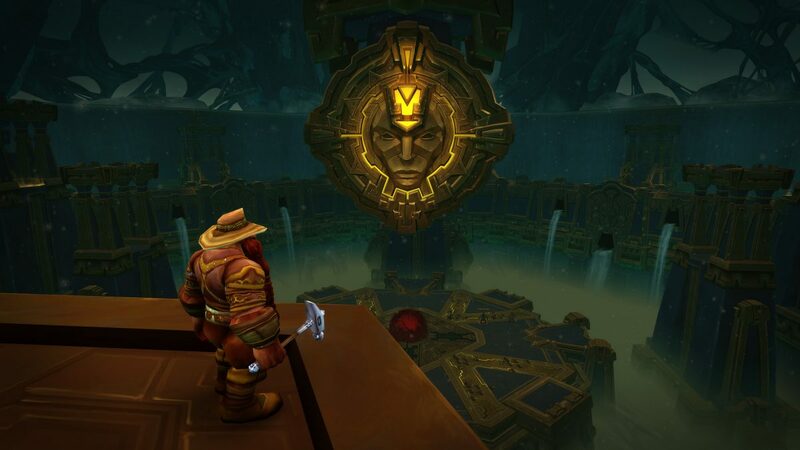 ​TL;DR​: WoW is a complex game. Legion, in particular, introduced a lot of factors which make it difficult to tell if X talent, gear piece, etc. is superior. Running fight simulations (“simming”) is one of the best tools we have to try and get a more data-driven, accurate answer. WHAT IS BEST FOR YOU IS NOT BEST FOR EVERYONE. Simming is the “most-honest” answer. When people tell you this they aren’t trying to “just get rid of you,” they’re trying to be honest with you and help you get the best answer. ​Sim-yourself​ is a guide to using SimC (SimulationCraft) which is a powerful but somewhat complicated tool that runs thousands of simulated fights to try and determine your performance (and from that, what is better or worse for you). 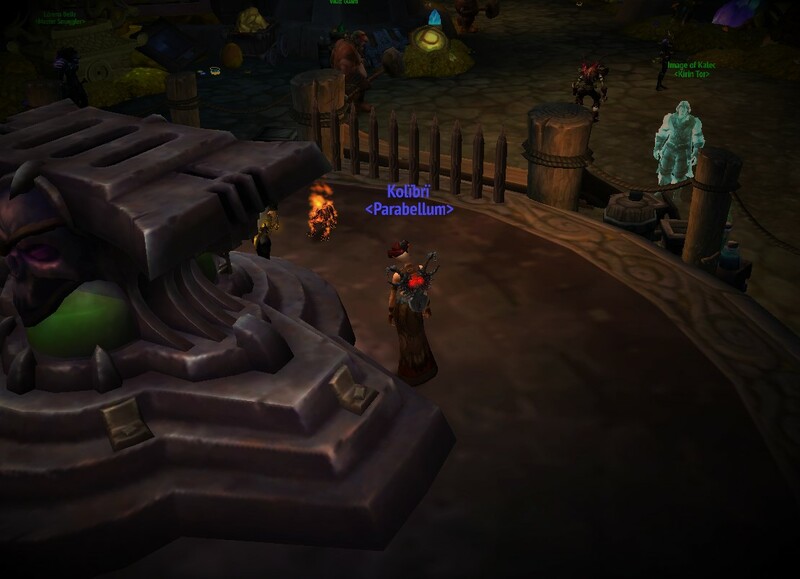 ​Raidbots runs SimC with a newbie-friendly user interface. Ask Mr. Robot, aka. AMR, runs their own simulator​ ​with a newbie-friendly user interface. Hang out on a server a lot. Be generally respectful. Don’t brag unless you’ve got logs to back you up (and even still, don’t brag, that’s annoying). Help out others. Have some fun, meme around a little. Have you ever joined a new friend group? It’s like that. Don’t be obnoxious, respect that some of these people have known each other for years, and you will eventually be included into the recognizable community figures/leaders/scallywags. Why is it so chaotic/spammy? People seem really cranky! ​The chances are overwhelming that you logged on to the Discord after a ​big announcement, PTR datamine, or patch notes​. During those times the traffic to class Discords surges tremendously, and things get absolutely wild. Don’t judge the server by those days. Mods will have their hands full and there will be a LOT of people spamming the same questions over and over. Don’t be that person. 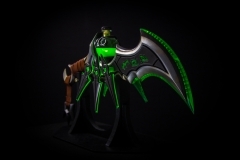 Hero Damage: ​A website dedicated to the most current trinket, talent, relic, and gear simulations. It’s a great resource to check if you just looted a trinket or relic and have ​no idea if it’s an upgrade or not. 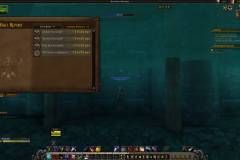 Ravenholdt: It’s my guide, so I get to plug the rogue website/resource. 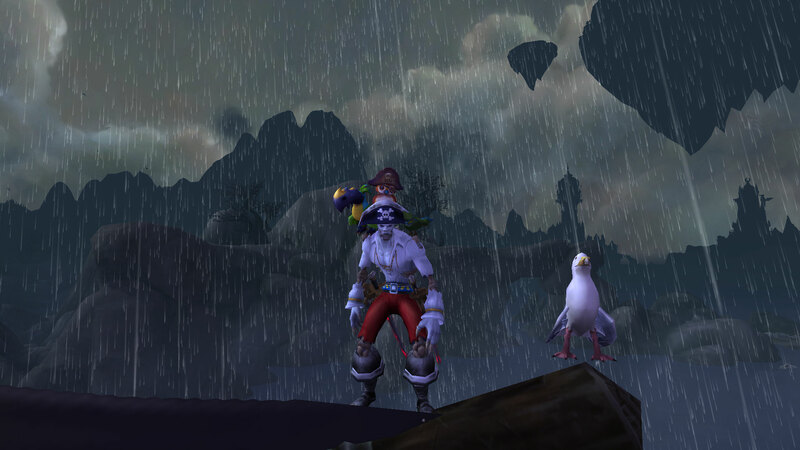 Ravenholdt is a go-to for various rogue-related content, but also has other guides such as the simming guide I linked above. Community Discord Servers: A list of links to the current class discord servers. If your server is missing from that list please contact Wowhead to have yours added. 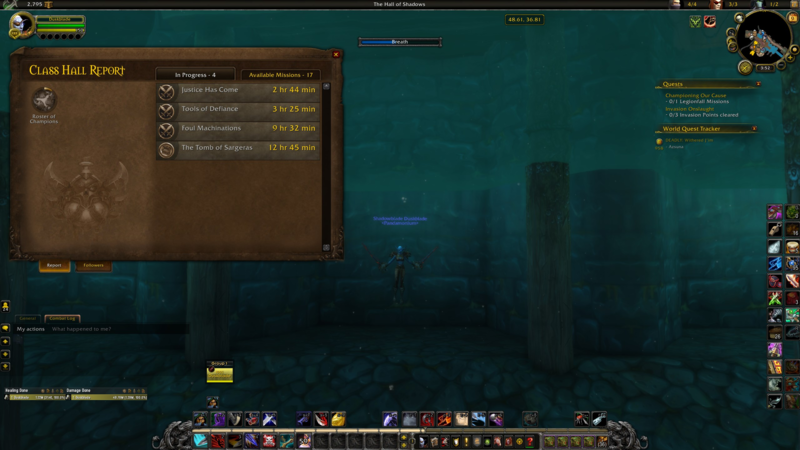 Ravenholdt is the go-to resource for news and guides for those wanting to maximize of their rogue experience. 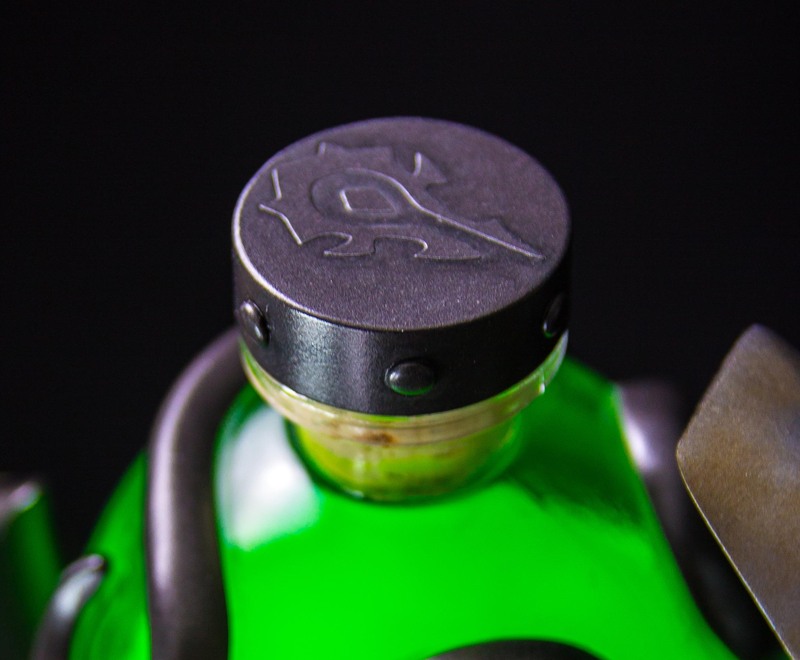 We bring together the brightest rogue player minds to focus exclusively on the class. The Ravenholdt Discord is where you can discuss anything rogue related. There's always a fellow shadowlurker willing to help you out or join your discussion. Drop on by! Ravenholdt is run and maintained by a handful of volunteers who think that rogues are pretty awesome - and there's always room for more. Get in touch with us on Discord. trademarks or registered trademarks of Blizzard Entertainment. © Ravenholdt 2017. All Rights Reserved.